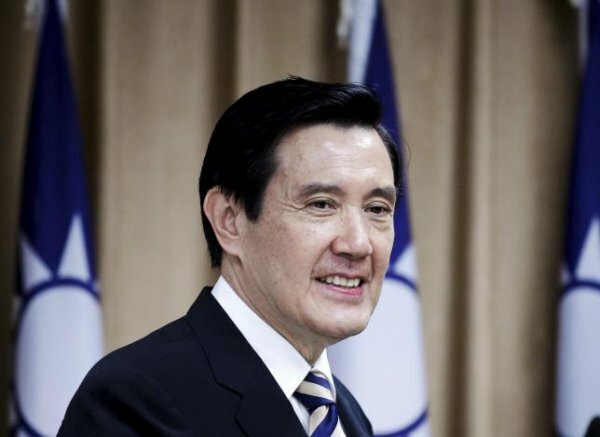 President Ma Ying-jeou proposed on 25 May 2015 a Peace Initiative to resolve the territorial dispute in the South China Sea, through which $5 trillion in ship-borne trade passes every year. The maritime region has multiple overlapping claims from China, the Philippines, Vietnam, Malaysia, Taiwan and Brunei. President Ma has reinforced the urge for a peaceful resolution before a major conflict breaks out. Taiwan proposed a peace initiative on Tuesday to resolve territorial disputes in the South China Sea that it says will reduce tensions that have put Beijing at odds with its neighbors and the United States. The South China Sea Peace Initiative announced by President Ma Ying-jeou called on claimants to temporarily shelve their disagreements to enable negotiations on sharing resources. Ma's plan is similar to a 2012 proposal for the East China Sea, which allowed Taiwan and Japan to jointly fish in the contested waters. However it appeared unlikely the plan would be accepted by China, which claims most of the South China Sea and has rebuffed earlier attempts at multilateral negotiations. "We believe Chinese people on both sides of the Strait have a duty to jointly protect China's territorial sovereignty and maritime rights and interests and safeguard the stability of the South China Sea region," said Hua Chunying, a spokeswoman for China's Foreign Ministry, when asked about the plan on Tuesday. China views self-governed Taiwan as a renegade province. Taiwan has so far played a marginal role in disputes between China and its neighbors in the South China Sea, through which $5 trillion in ship-borne trade passes every year. China, the Philippines, Vietnam, Malaysia, Taiwan and Brunei all have overlapping claims in the South China Sea. China said on Monday it had lodged a complaint with the United States over a U.S. spy plane that flew over parts of the disputed sea. Ma's remarks in a keynote speech at an international law conference in Taipei were the most public comments by Taiwan since the United States, its biggest ally, raised concerns over the speed and breadth of China's land reclamation in the area. "We demand that freedom of navigation and overflight be respected in the South China Sea," said Ma, who urged a peaceful resolution "before a major conflict breaks out". Taiwan normally maintains a low-key approach to such issues but has coast guard and military facilities in the area, including an airstrip and soon-to-be-completed port on Taiping Island, also known as Itu Abu, the largest natural land mass in the disputed Spratlys archipelago. "I believe the mainland side understands the spirit and principle of our South China Sea peace initiative," Taiwan Foreign Minister David Lin told reporters after Ma's speech.